Kyle went above and beyond to make us feel important as his customer. He was fair and honest, answered all our questions and concerns and was eager to make our vehicle buying experience the best it could be. I would recommend anyone looking for a vehicle to check out their lot. I would not hesitate to purchase another vehicle from them. The black 2005 Chevrolet 2500 Silverado I bought today was just what I was looking for. Thanks C.J. and Mark for your friendly service. I appreciate it. In addition, Northwest Rides went the extra mile taking care of my needs after the sale. Thanks again. Their continued support to make me a happy camper are greatly appreciated. You want a great deal on a great car? You want to deal with an excellent staff who won't pressure you into making a decision and are incredibly friendly? If so, Northwest Rides is the dealership for you. Not only did they cut me a great deal, but were the most courteous and professional people I've ever dealt with in a business environment. I highly suggest Northwest Rides for any of your car buying needs, ESPECIALLY if you're a first time buyer like myself. You will not be disappointed. I highly recommend coming here. They have a very nice selection of vehicles and helped me take home the perfect car! From the moment that I pulled into the lot, until I drove off in my new truck, it was the best car buying experience that I have had. There was an issue with the driver side mirror on the truck and Northwest Rides went out of their way to have the issue resolved. I'm very happy with the service that I received. 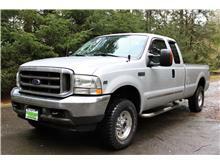 I was searching for a used pickup truck in the greater Tacoma area and came across a vehicle at Northwest Rides. I contacted the sales associate, CJ, regarding this pickup and his service was phenomenal. CJ answered all of my questions promptly, regardless of the request. If he did not have an immediate answer, he took the time to research and provide a timely response. I had a few reservations on the vehicle and requested a safety inspection to easy my worries, CJ quickly found a local business to perform the task and took care of the logistics without complaint. The service I received from beginning to end was unmatched by any dealership I had contact with when searching for my future truck. There was no pressure from the dealership to buy 'right now' and they wanted to be sure I would be satisfied with the vehicle before I made my final decision. In the end I decided to delay the purchaseof a truck until a later time, and again, CJ and the dealership did not have any negative comments. They continued to show the utmost support of my decision and gave great service. Very happy with my purchase. The salesmen are honest, professional, and extremely courteous. They put ZERO pressure on me to buy, which is different, but much appreciated. I didn't feel like I was driving into a field of vultures... Overall, a great experience and I would recommend anyone who is looking to buy a used car, to visit Northwest Rides. Great place they helped me get into a car that I always wanted. Cj is awesome person and the dealership as well. I highly recommend to check them out even if you have to make the trek! CJ, Eric, and Patrick made the car buying experience very relaxed. There was no high pressure, in fact it is laid back place that has a modern family feeling. Thanks for the used truck. I have been looking for a car for my daughter for months when we came across what she had been looking for. We contacted the dealership and they were very responsive and knowledgeable about the particular car and other inventory they had. Made an appointment to come look at the vehicle. When we arrived it was pulled right up front, ready to show and not mysteriously off the lot like so many other dealerships we had visited. It was "as" described on the phone, and that in itself was a nice relief. I noticed all the cars on their lot were clean and ready for show(not dirty with dents and flats like other lots). The staff from the owner on down were amazing- Attentive, respectful, informative and HONEST! Those are not typically traits found in independent used car dealers. We had a couple issues to have resolved on the vehicle we purchased and they handled it rapidly and proficiently. One of the best car buying experience I've ever had (and 19yr old daughter's)! Do not hesitate to buy a vehicle here, they are amazing! From inventory to staff, Marc and his employees have built an Awesome company that looks out for the customer and isn't just there to make a buck- With this philosophy and staff these guys will go far! Send family or friend and trust they will be handled perfectly! Thanks for the great vehicle, my daughter loves it!